The 2005 vintage in France was monumental, and in the famous Pinot Noir region of Burgundy, it was the best vintage since the year 1990. 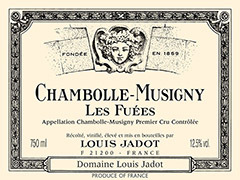 Subsequently, 2009 and 2010 are also phenomenal and the current release of 2012’s are excellent as well. If you want to discover Pinot Noir at its best, the 2005’s are now starting to re-awaken and are drinking very well (try pairing with duck confit!). The prices are not cheap (but Burgundy never is), and we have a few that would be wonderful for a special occasion or you can continue to cellar for another 7-8 more years for even more complexity. Note these are extremely limited so act quickly before they are all gone.